At NE Plastics we have a range of machinery which enables us to offer a variety of added value services in house, quickly and efficiently. We have a 6m by 2m wall saw which can perform straight cuts for small volume jobs. Our CNC Schelling beam saw has a 3m by 2m bed and takes advantage of software which enables us to maximise sheet yield. This ensures minimal wastage and optimisation of cutting time. It is suitable for bulk cutting multiple sheets and has the added ability of being able to cut sheets as thin as 0.5mm. Utilising Artcam Insignia software, our 3m by 2m Tecktel CNC router can cut intricate shapes and designs with a skim finish edge if required. It can route various materials including acrylic, foam PVC and aluminium composite. 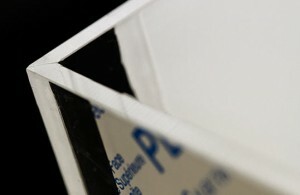 With the aid of our registration mark camera we can cut printed material to shape. We require an appropriate CAD file which adheres to five simple stages. With its large working bed of 1500mm by 1250mm, our laser can accommodate substantial sheet sizes, which enhances optimisation and efficiency. As well as cutting, the laser has the added benefit of producing a polished edge at the same time, resulting in a finished product straight from the machine. It’s in built i-Cut software can cut pre-printed materials using registration marks or the utilisation of CorelDraw or ArtCAM can be used to cut your intricate designs. Laser engraving can add a personal touch to your items with a matt engraved finished. Materials suitable for laser cutting are acrylic, Lumex G (PETG) and Lumex A (APET), polyester and polystyrene. Our diamond polisher is a floor mounted machine which can accommodate panels up to a thickness of 55mm. 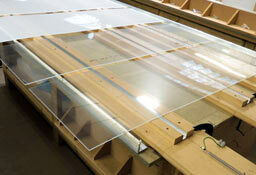 Thin panels can be stacked together to provide an efficient polishing process for even small jobs. Materials suitable for polishing are acrylic, Lumex G (PETG) and polycarbonate. Our AwlTech polisher can polish large panels up to 3m long and 120mm thick. Multiple panels can be polished at the same time, up to the maximum thickness level of 120mm, ensuring an efficient process. The AwlTech has the added benefit of being able to polish small bevelled edges if required. Materials suitable for diamond polishing include acrylic, Lumex G (PETG) and polycarbonate. 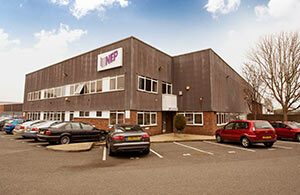 All sourced technical information on this page has been certified by suppliers of the machines NE Plastics uses. 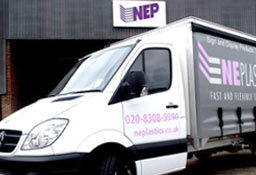 NE Plastics Ltd takes no responsibility in any resulting loss from either the application of said data or the knowledge gained from the technical information provided.